It’s been a while since I had last published a new post on my blog. I guess it’s one of those times when your interests drift off, you start to explore other things, but eventually you get back to where you had left things. With photography I had experienced that many times before. For me it seems to come and go in waves. In the meantime I have gotten used to it. I know it will come back. So during those times when the interest in photography seems to wear off I know it’s only temporary. And to be completely truthful I think that’s even a good thing. As long as it is a hobby, from time to time you need some distance to be able to appreciate it – with a new and fresh perspective. It may also help shape your way of taking photos. But enough said, here you go. 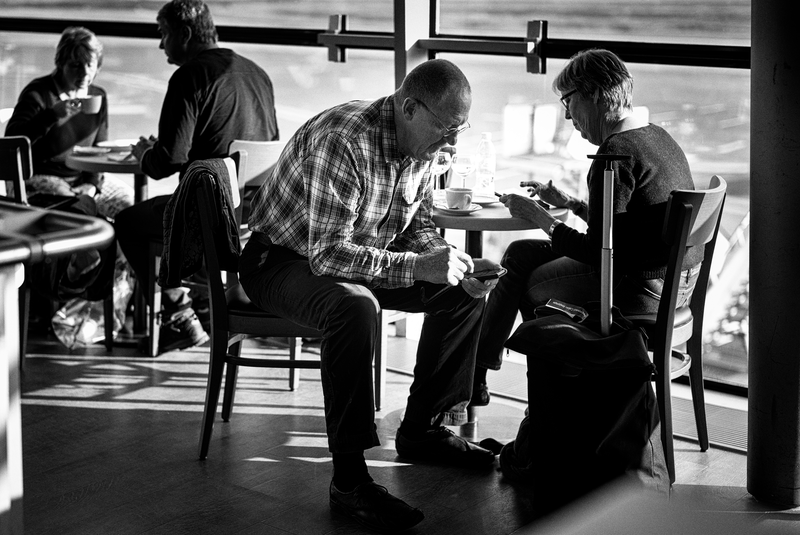 Enjoy a new picture taken at Cologne Airport a couple of days ago. 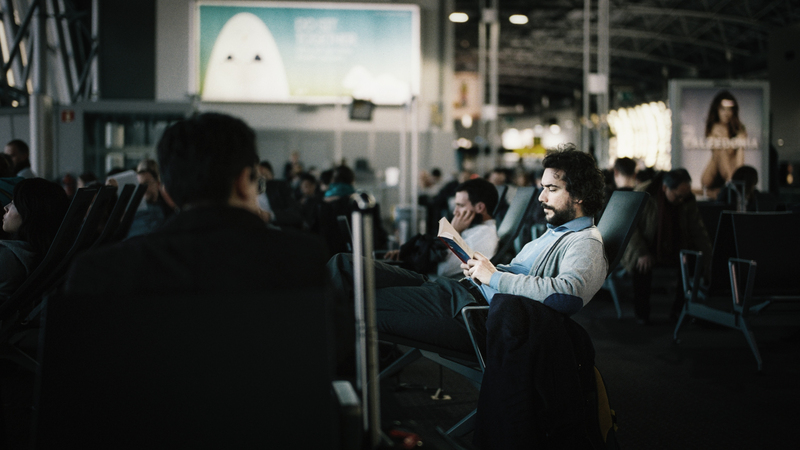 Considering the amount of photos I’m taking of people waiting at airports or train stations I should really think about how I spend my life :). Yesterday I felt playful and was toying around a bit with Analog Efex Pro 2 (a Google photo-editing software that was originally developed by Nik Software). Its main purpose is to make digital color photos look like analog film photographs. 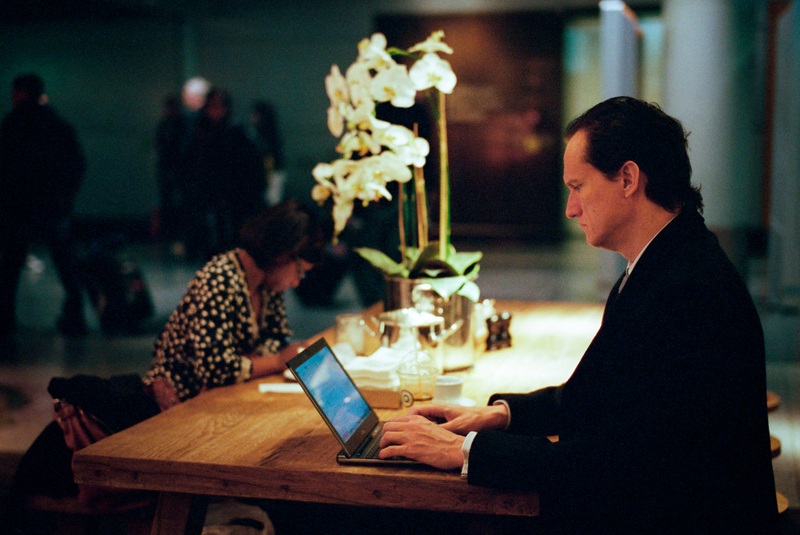 Me editing a Kodak Portra 400 image with that software seems kind of awkward. 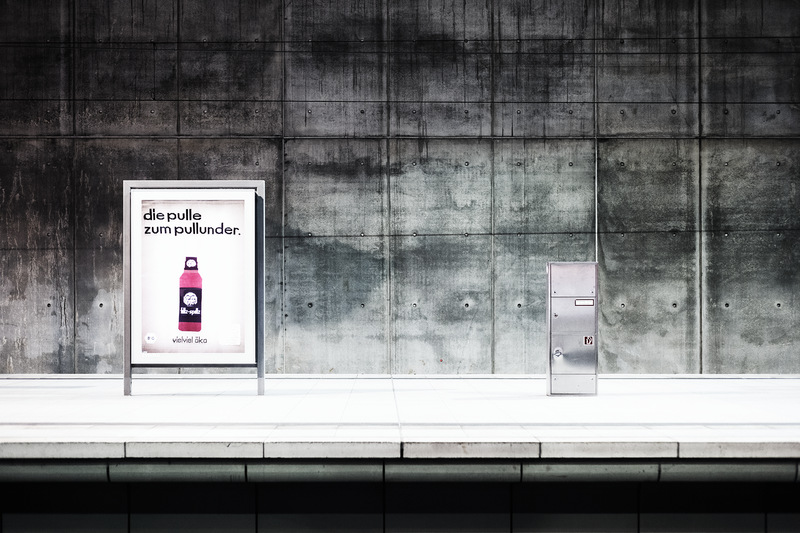 Nevertheless the more I toyed around with the program the more I thought that it actually worked out quite nicely and in fact added a bit more nostalgia to the picture that contrasted the rather contemporary way of working “on the go” seen in the image. What do you think? I also add the more or less untouched original scan of the picture below for comparison. Which one works better in your opinion? Please let me know. 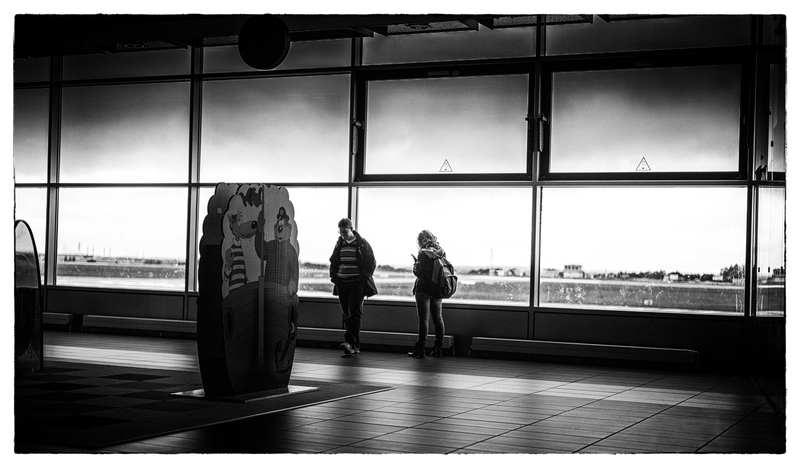 Shot at the Dresden airport on my way to Milan.